Treating these Tests almost as tour games for the series in South Africa, India was in no danger of the apparent disrespect to Sri Lanka, biting them on the backside instead. For the sixth straight Test between these two sides, Sri Lanka failed to reach 300, getting bowled out for 205 after winning the toss on a pretty good batting surface. Ishant Sharma came into the playing XI as the pacer Mohammed Shami was injured. Ishant presented his claim to the first XI in South Africa with disciplined bowling and three wickets while R Ashwin and Ravindra Jadeja reclaimed their turf with seven wickets after both went wicketless in Kolkata. Ishant Sharma, not only performed in bowling but also fielded very well up to his standards. Niroshan Dickwella is one of the special players for Sri Lanka as the wicketkeeper-batsman. He adds life to their batting attack in the lower order and has the ability to spice things up with the bat. 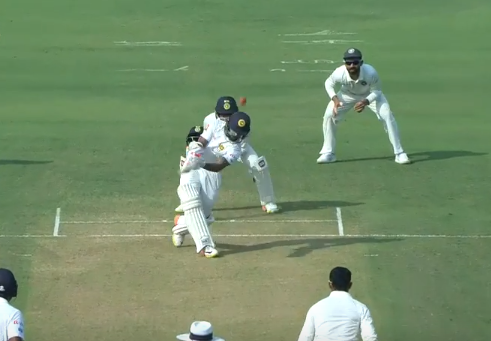 We all know that Dickwella had got under the skin of the Indians in the previous Test and thus when he got out in the ongoing Nagpur Test, the Indian skipper was seen dancing on his way from the slips to celebrate the wicket. Dickwella walked out as Dimuth Karunaratne was sent his way back by Ishant in the 51st over. He added 24 runs from 30 balls but eventually lost patience and jumped down the track on a Jadeja delivery. 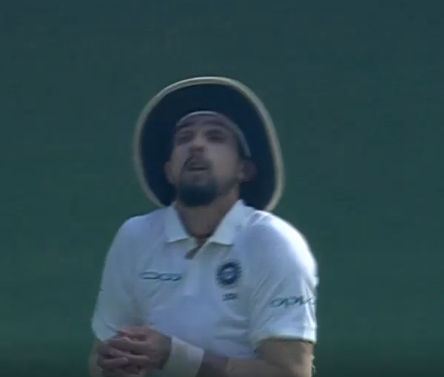 He didn’t get to the pitch of the ball and while he wanted to hit it on the on-side the ball went high up on the off-side and not further than mid-off where Ishant accepted a simple catch. The Indians were delighted as they avoided a low order resistance getting the 24-year-old out cheap. 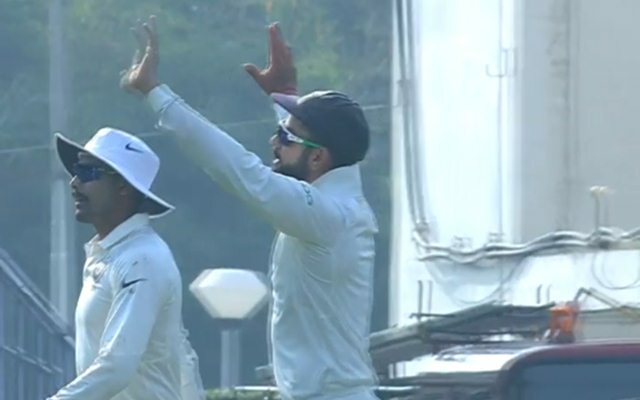 Kohli for the dual fact of the contest and since it was an important wicket was seen performing the ‘Bhangra’ as he moved towards his teammates to celebrate the success. It was one of the highlights of today’s play. 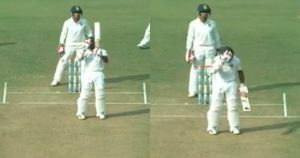 While Ishant Sharma opened the account both Ravichandran Ashwin and Ravindra Jadeja got into the act and enjoyed bowling in tandem again.